Several Limesurvey question types allow adding an option to enter a free text answer. This option can be enabled when editing a question (“Option ‘other’ -> Yes”). 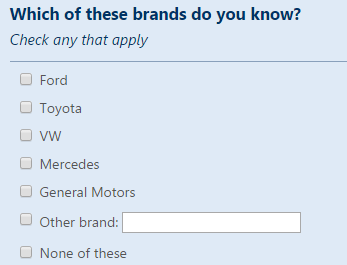 By default Limesurvey always places that option at the very end of the list of answers and there is no feature to change the order of answer options. If you want to place a certain item of a randomized list of answer options to the end of the list, have a look at How to place a certain option at the end of a list with randomized answers at Limesurvey survey.